Earlier this year, we launched our Artist-in-Residence program, which empowers artists to focus on inspiring the community, innovating, and harnessing their passion. Meet Celeste Cooning, our first artist. Celeste first came to Seattle in 2005, as a graduate student at the University of Washington. 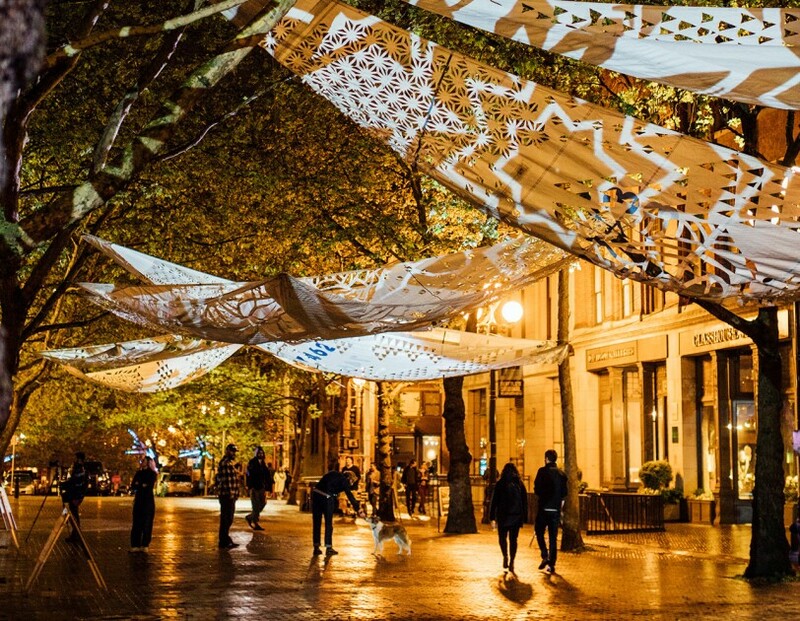 Now, she’s known around the city for creating large-scale cut paper installations. Her work is reminiscent of cutting paper snowflakes in elementary school, if they were to become a gorgeous, intricate blizzard. I truly believe everyone has creative potential. In the studio, She has collaborated on productions with renowned artist/dancer duo zoe | juniper, Seattle playwright and actress Amontaine Aurore, and New York City's Kinesis Project. Currently, Cooning is in the design phase of a commission for Seattle Sound Transit's East Link extension. Celeste rummages through a stack of templates. She carefully selects a few floral and leaf-like patterns and then lays them on top of a sheet of Tyvek, a synthetic home construction paper— the material is hardy but easy to cut. The layered patterns create new motifs and she begins to trace and cut. However, to Celeste, tracing and cutting isn’t just the means to an end, but an integral part to the creative process. “I start with a seed of an idea,” said Cooning. "But I don’t know what it’s going to be until I tread down a certain path.” Each piece represents the elaborate patterns that grow from a few key creative decisions. Another Dimension at Occidental Mall during the Upstream Music Fest, Celeste collaborated with projection artists Brandon Aleseon and Reilly Donovan. 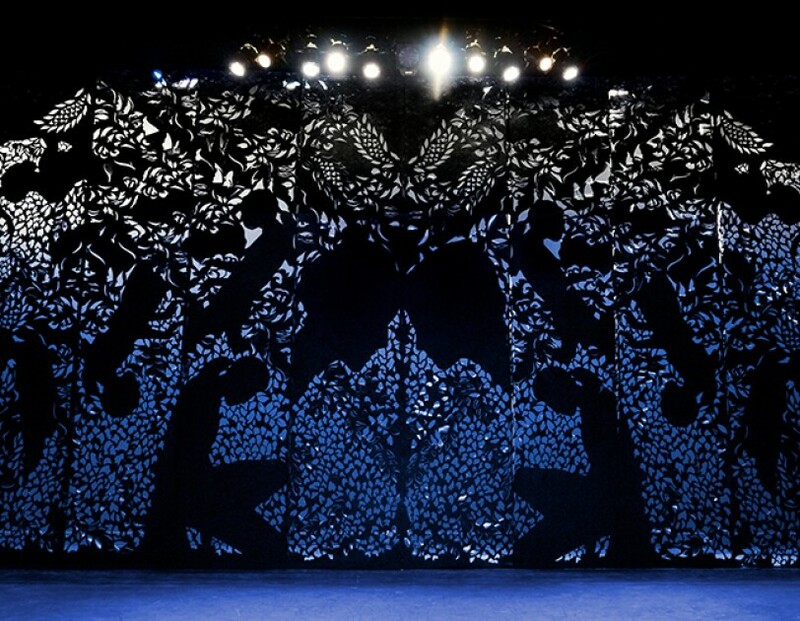 Celeste created the backdrop for the show BeginAgain by dance company zoe | juniper. 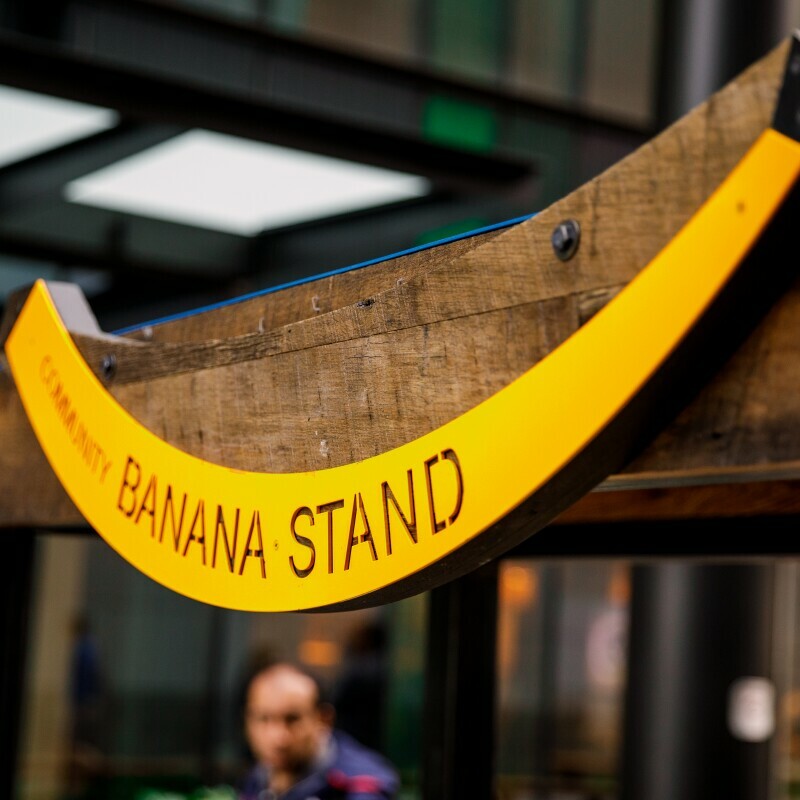 Bounty marks Celeste’s first permanent public installation. It's located at Jackson Park Golf Course in Seattle, WA. Another Dimension at Occidental Mall during the Upstream Music Fest, Celeste Cooning collaborated with projection artists Brandon Aleseon and Reilly Donovan. 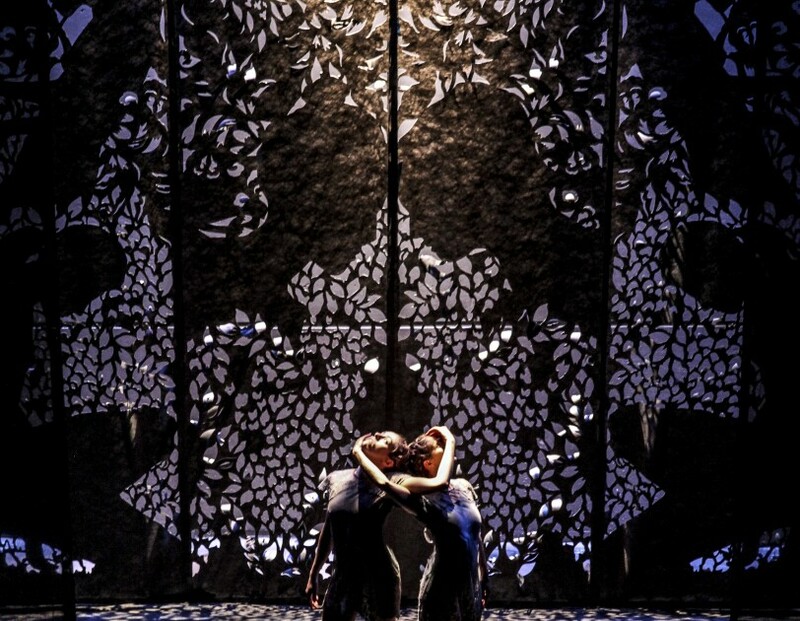 In 2014, Celeste worked with Seattle-based dance company zoe | juniper to create the backdrop for the show BeginAgain. As our first artist in resident, Celeste will create, innovate, and exchange ideas with the community, inspiring others to bring innovations to life. Over the three-month program, she will host a hands-on cut-paper workshop, an art talk, and a gallery of her work. In addition to these events, Celeste will create an art piece that will be on display at our headquarters, working out of the Expressions Lab, our in-house art studio. 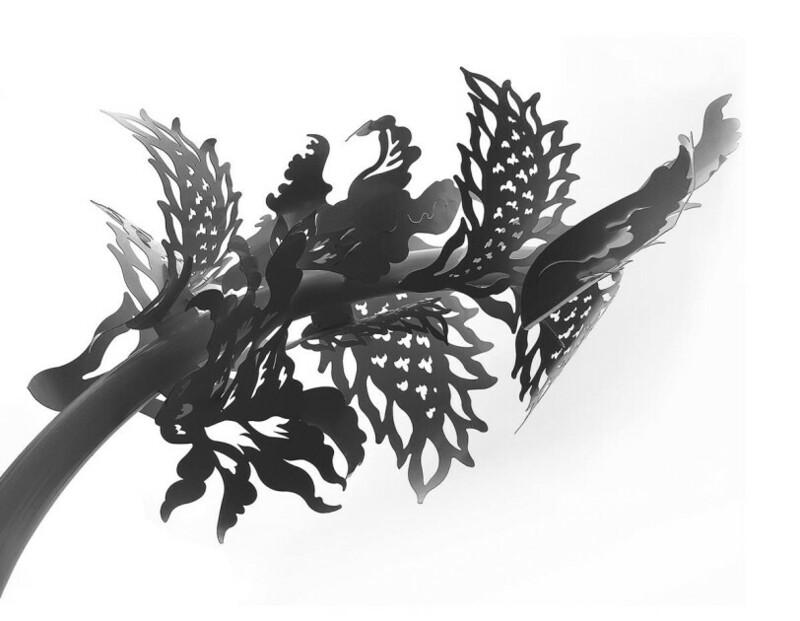 Celeste’s cut paper pieces have adorned city parks, storefronts, special events, and the stage. 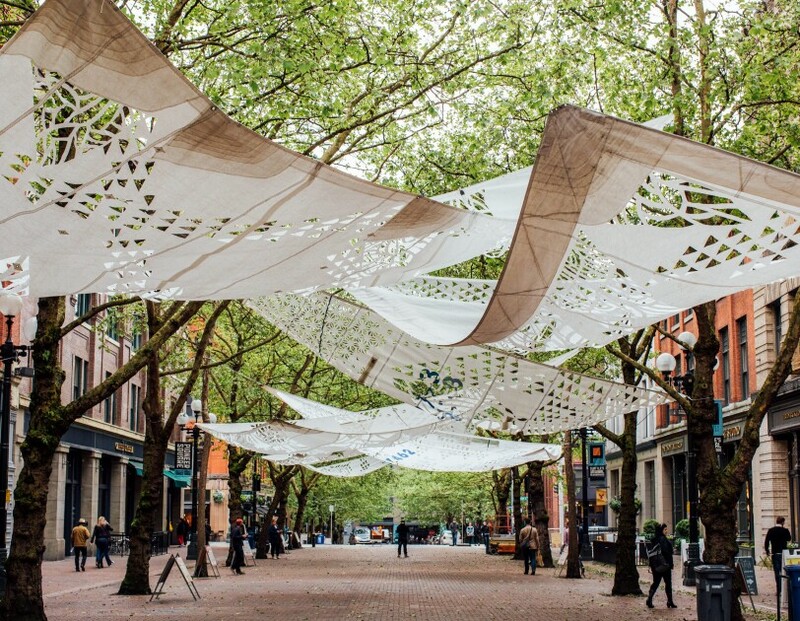 Some of Celeste’s permanent installations can be found at these Seattle locations: Harborview Medical Center, Theo Chocolate, Bridges @ 11th, Luma Condominiums, Cora Queen Anne, and Starbucks Global Art.